The DS216+ is a great little box to safely store and search through huge photo, music and video collections. But it's a tad too picky about what it will and what it won’t playback. It’s no longer fair to classify NAS devices as mere ‘Network Attached Storage’ as nowadays they operate more like full-blown servers that can handle everything from cloud based-storage to 4K video transcoding. Synology’s latest, the DS216+, is positioning itself as a high performance two-bay NAS server aimed at home and small office users who want to protect and share data, serve applications and transcode their 4K resolution video files on-the-fly for playback on multiple devices. Oddly enough, the multimedia-centric DS216+ lacks an HDMI output which is a surprising omission given that this is something competitors like QNAP and Asustor offer on most of their models. It does, however, use the new Intel x86 Braswell dual-core chip as opposed to the less powerful ARM processors usually found at this price point. Unfortunately, the DS216+ ships with only 1GB of RAM onboard and unlike previous Synology models, it isn’t upgradeable so you’re locked in at a fairly-limited memory capacity. The two removable hot-swappable SATA cages support either 2.5” or 3.5” drives so you can add up to 16TB of storage and the entire design is tool-less which makes installing and removing drives extremely quick and easy. Around back there’s a gigabit Ethernet port, 2 x USB and an eSATA port while there’s a single USB 3.0 port on the front with a USB copy button directly below it for fast and easy back up of external USB drives. Unfortunately, the rear USB ports are of the older, slower 2.0 variety and there’s also no SD card slot which would have made backing up photos from a DSLR camera a lot more convenient. At $459 (hard drives not included), the DS216+ is the cheapest Synology NAS to support the Btrfs (B-tree) file system which enables features like point-in-time snapshot and restore, built-in data integrity checks, metadata mirroring and quota control for shared folders. The DS216+ runs Synology’s impressive DiskStation Manager (DSM) software which, in our minds, is the most user-friendly and feature-rich operating system found on any NAS device. We tested the DS216+ using the new 6.0 update which adds a host of useful features. For business users, there’s a private cloud collaboration suite including Spreadsheet and Note Station, new on-premise email server and MailPlus client that supports up to five users for free and the ability to backup the NAS to external cloud storage services such as Dropbox, OneDrive and Google Drive. DSM 6.0 also expands support for Btrfs file system to other Synology NAS equipped with select 64-bit processors. However, the focus of this article is on the DS216+’s multimedia chops and the 6.0 update adds some critical features here including the beautifully-redesigned Video Station and DS Video which now allows you to pre-transcode a video and then download it to mobile devices via the DS video mobile app for offline playback. Setting up a Synology NAS is a breeze, but adding a disk can take hours to initialise within the system. For example, adding a 4TB drive to our existing 6TB volume took over a day. The DS216+ can transcode 2160p/UHD/4K video to your 1080p television, PC, smartphone or tablet provided you use Synology’s DS Video app for playback. Note that the DS216+ can only transcode 2160p video down to 1080p. 4K television owners can open the file and play the video natively at full resolution provided the television supports DLNA and has the requisite processing power. The DS Video app is available on the new Apple TV (complete with playback controls on the Apple Watch) and Windows 10 devices in addition to Android and iOS. There’s also a browser-based Video Station player for PCs. The DS app on the Apple TV. We loaded up the NAS with numerous test files including videos encoded in AVC and the more demanding HEVC codec with bitrates of up to 60Mbps and multichannel audio. Resolutions of the files ranged from 1080p, 3840 x 2160 (UHD) and 4096 x 2160 (4K). We tested the files using the DS Video app running on the iPad Pro, iPad Air, Apple TV, Safari browser on a retina Macbook Pro and the Samsung Galaxy S7. All 1080p HEVC and AVC files we tested worked fine, but we did notice lengthy buffering times for videos encoded at bitrates above 20Mbps. Similarly, skipping ahead or rewinding to specific scenes in a video wasn’t instant and it often took quite a bit of time before the video played again. 4K AVC/H.264 files performed much better with only a minor 15-20 second buffering time before playback began and skipping ahead within the videos was much more responsive. However, we did notice video artefacts during playback which suggests that the hardware transcoding might be struggling to keep up. Videos encoded with DTS audio won’t play at all which is a shame given the ubiquity of the format. This has long been a pain point for Synology and until the company works out a licensing arrangement with DTS, the issue is likely to remain. A favourite amongst media mavens is PLEX and while Synology supports the popular media serving app, PLEX has yet to take advantage of hardware transcoding on any NAS system, making it an unsuitable option for HD video playback let alone UHD. 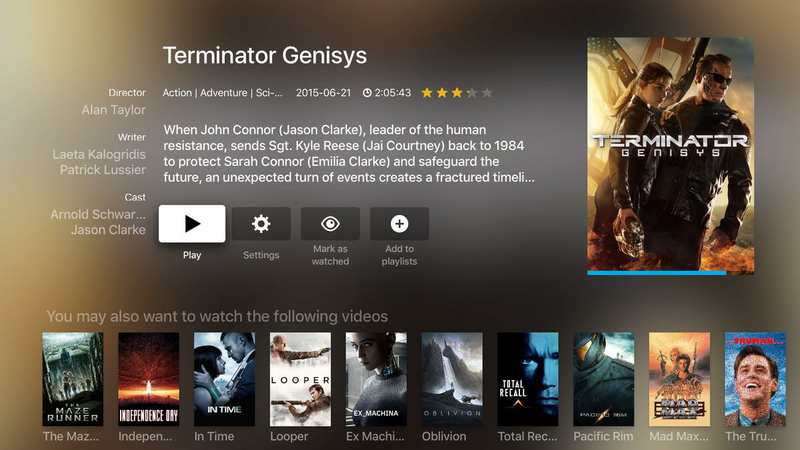 Synology says that it has made hardware transcoding available but PLEX has yet to play ball. The DS216+ is a great little box to safely store and search through huge photo, music and video collections while apps like DS Video are slickly produced and feature rich. The DS216+ also offers a wealth of functions that make it a viable option for serious business users. However, if you’re buying the DS216+ under the expectation that it will playback all your media on a broad spectrum of devices than you’re likely to be disappointed as the DS216+ is a tad too picky about what it will and what it won’t playback. Though slightly pricier, multimedia centric NAS boxes offered by the likes of QNAP get around the issue of codec support by allowing users to connect their NAS directly to their televisions via the included HDMI port and enabling the use of applications like KODI that effectively turn the NAS into a capable home theatre PC. The absence of such a feature on the multimedia centric DS216+ is definitely felt. Alternatively, you could always just buy a cheaper NAS and use it simply for file storage and palm-off playback duties to apps like Infuse (available on iOS and Apple TV) which will playback virtually anything you throw at it.